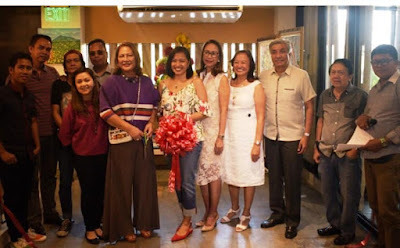 Showcasing Filipino culture: 13 Ubay holds its month-long Embracing Food & Art Exhibit that features the works of renowned artist Fernando Cena (2nd from right) together with seven other local artists. With him at the opening are Bayen Tinga, President of Philippine Art Awards, 13Ubay’s Zaza Sarmiento, Josie Manuel, Edna Sarmiento, and Engineer Edwin Soliman. Eight talented local artists led by renowned painter Fernando Sena came together to celebrate creativity and the indomitable Filipino spirit in an exhibit hosted by 13 UBAY in Quezon City. 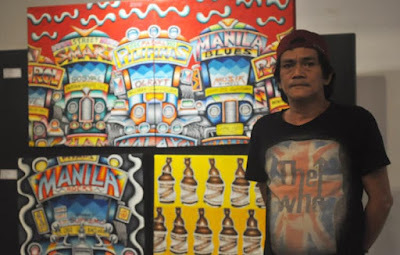 Sena, who is best known for his still life renderings of the ubiquitous pan de sal, is joined by Bernardo Maac, Mario Villanueva, Angelito Lepalma, Agnes Batallones, Jojo Garcia, Dennis Tresvalles, and Joval Kisinamal in a special, month-long art exhibit at the restaurant titled Embracing Filipino Food and Art. 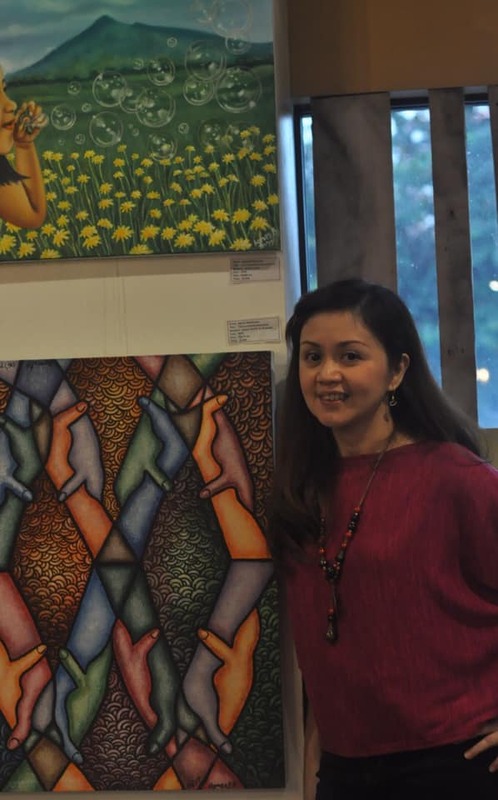 Graphic Designer and Visual Artist Agnes Batallones is one of the local artists highlighted in the Embracing Food and Art Exhibit at 13 Ubay Filipino Casual Dining in Quezon City. Guests at the restaurant can appreciate the artworks that range from still lifes, to street scenes, and abstracts, all done in vivid colors and in different forms and techniques that capture the eye and imagination. 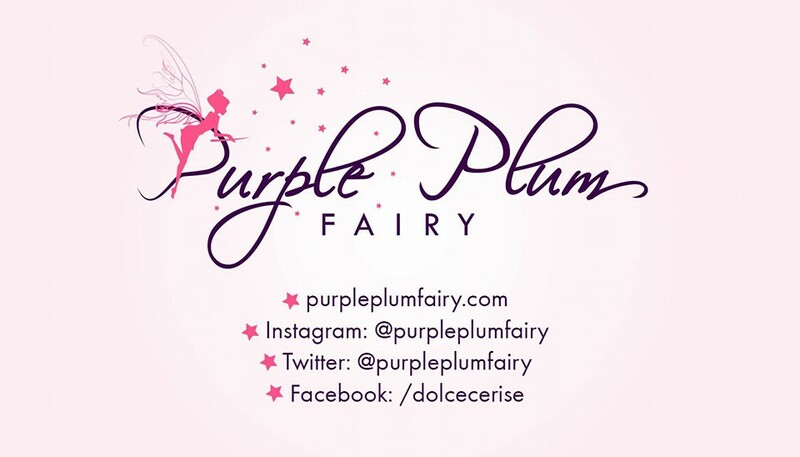 The food and ambience at 13 UBAY make the perfect backdrop for this artistic endeavour, as the menu is composed of food that is familiar to the Filipino palate, with bestsellers such as Beef Pares, Chicken Inasal and Sinaing na Tulingan, in a setting that is homey and approachable. 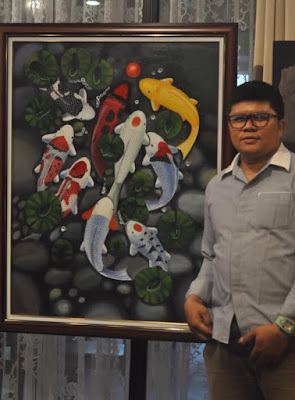 Mario Villanueva with his artwork entitled “Koi”, one of the pieces on display at the ongoing 13 Ubay Filipino Casual Dining exhibit entitled Embracing Food and Art. During the opening ceremony for Embracing Food and Art, Sena congratulated 13 UBAY for the exhibit concept, saying that he hopes that will be more venues to highlight Filipino talent in visual arts. The restaurant welcomes more collaborations with local artists as it hopes to establish itself as an art hub in Quezon City while providing its guests with visual and gustatory feasts through its ambience and home-style Filipino food. 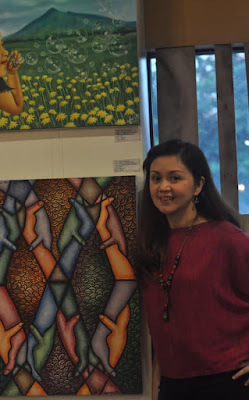 The Embracing Food and Art exhibit at 13 UBAY is still ongoing. The Banawe neighborhood restaurant is located at 13 Ubay St., Sta. Mesa Heights, Quezon City. 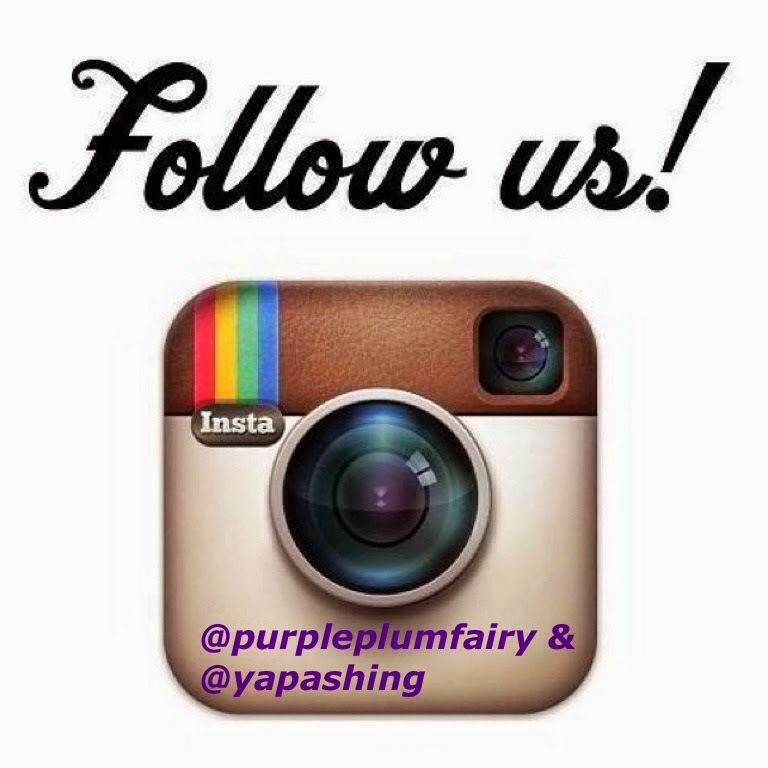 For more information and to view the menu, visit 13 UBAY on Facebook and Instagram.